Lorraine Klevansky is Of Counsel in the firm's Honolulu office, concentrating in the area of pension law. Her practice has included service as legal advisor and consultant with a national employee benefits consulting company and as partner in a local pension consulting and actuarial firm. 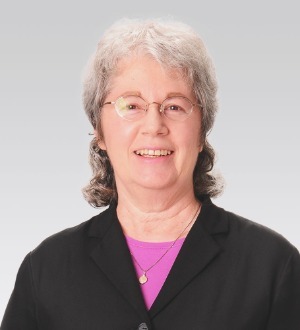 Ms. Klevansky is a member of the Hawai`i Bar Association and has been practicing law since 1979. She was recently selected by attorney peers for inclusion in The Best Lawyers in America 2018 in the field of Employee Benefits (ERISA) Law. Qualified Retirement Plan Design Advise employers on the most suitable structures and design features for their employee retirement program, in light of their company goals and policies, employee patterns, and industry practices. Prepare plan documents and summary plan descriptions. ERISA and IRS Compliance Issues Advise employers on such matters as: testing for nondiscrimination in contributions, benefits, coverage and participation; controlled group issues; IRS and Pension Benefit Guaranty Corporation reporting requirements; ERISA disclosure requirements; and the qualification of domestic relations orders. Plans in Company Purchases and Sales Advise on financial and legal implications of purchase and sales transactions with regard to the qualified plans of the companies involved, and whether to continue, modify or terminate such plans. Tax Deferred Annuities Advises qualified tax exempt organizations on tax, fiduciary and ERISA law compliance. Plan Compliance Problems Advises employers on self correction methods with regard to limited problems, and represents employers with more extensive compliance matters before the IRS. Employee Welfare Plans Prepares summary plan descriptions, salary deferral agreements, and other employee disclosure documents for cafeteria, health and other welfare plans.